I am coming down the home stretch toward the finish line! There are a number of parts that still need to be made, but I am checking them off the list as I go. The sideplate is complete and installed, the screws are fitted and aligned. 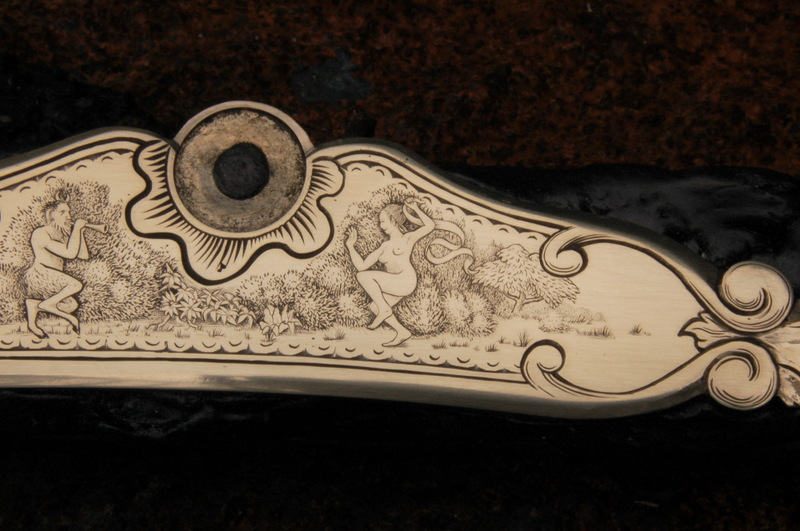 The buttplate engraving is done. 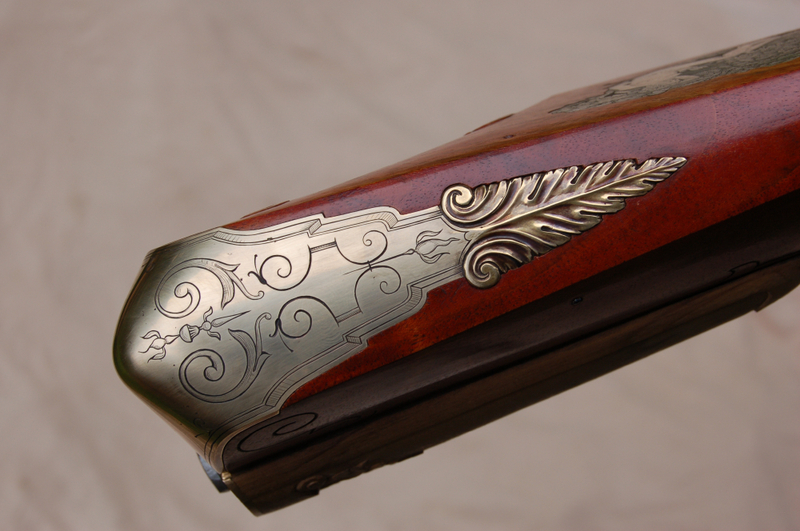 This is in the Baroque fashion, with some even earlier influences in the design. The tang screw is made and fitted. A nice shallow domed screw head adds a touch of interest to the flat plane of the tang. 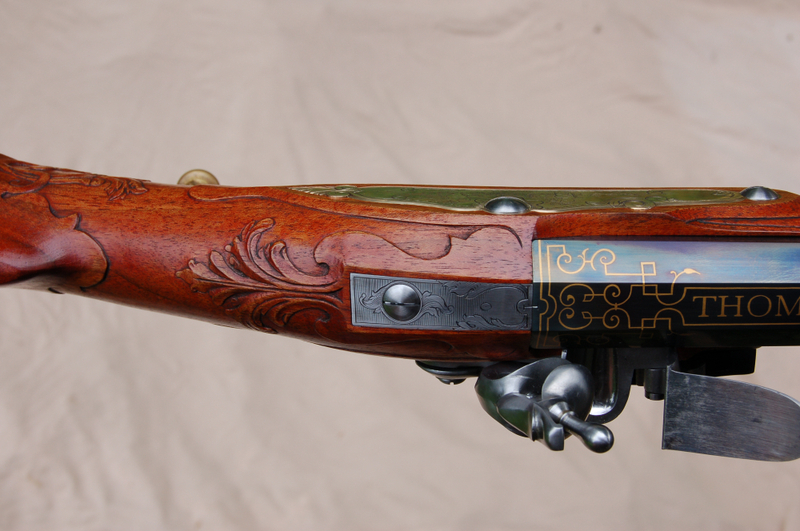 The gun is at the point where all the woodwork is done, except for final finish. The hardware, ie: the brass and steel fittings are now in the process of decoration. 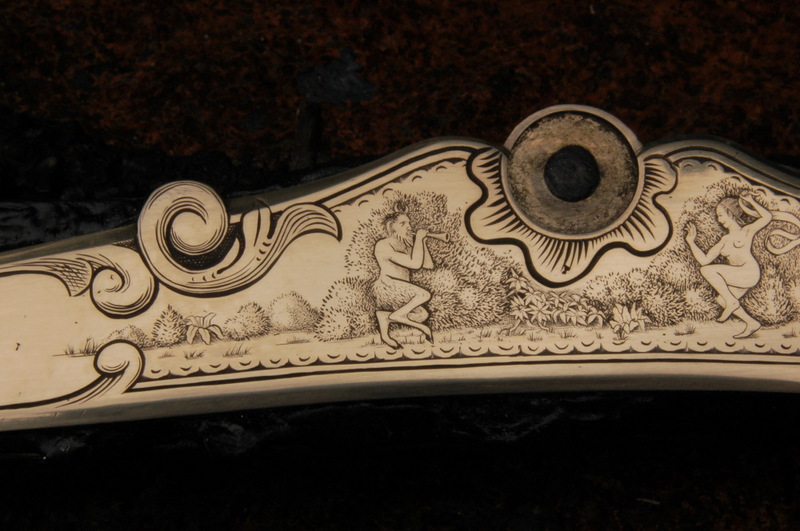 This piece is called the side plate, and its main function is to provide support for the screws, which are used to retain the lock, or firing mechanism. 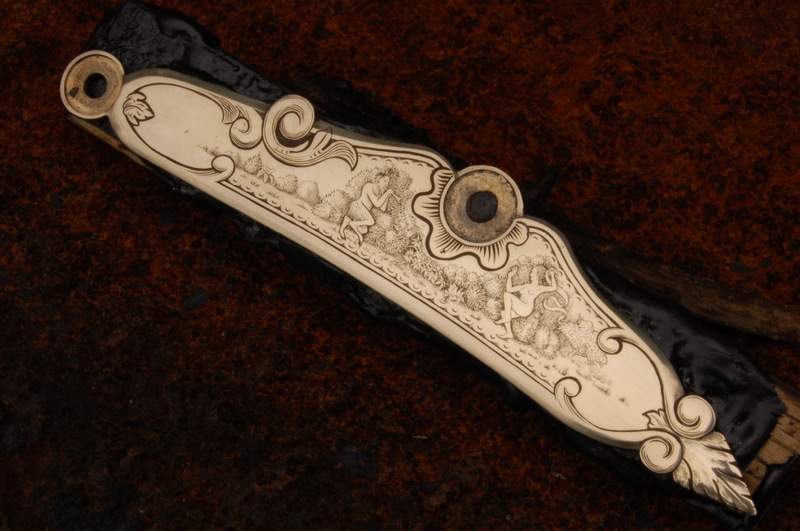 On a simple gun, there might be washers instead of a plate. 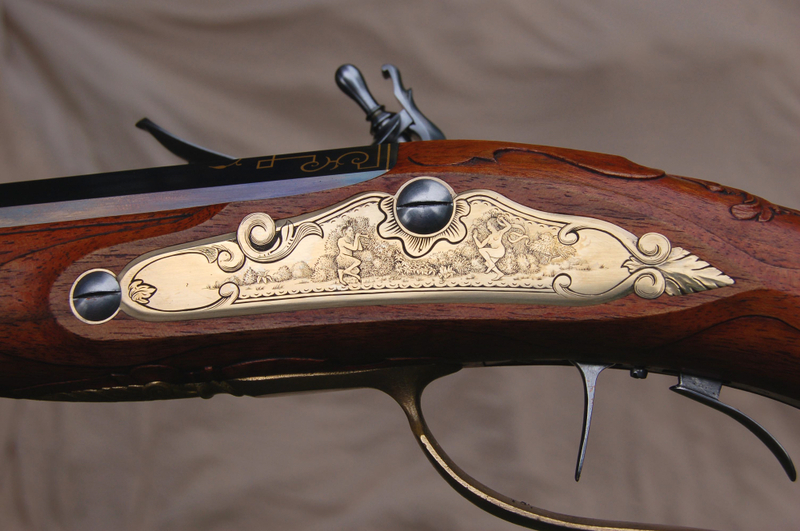 This style of rifle, a fancy jaeger, calls for decoration on every available surface, to the point of CREATING surfaces upon which decoration can be put! 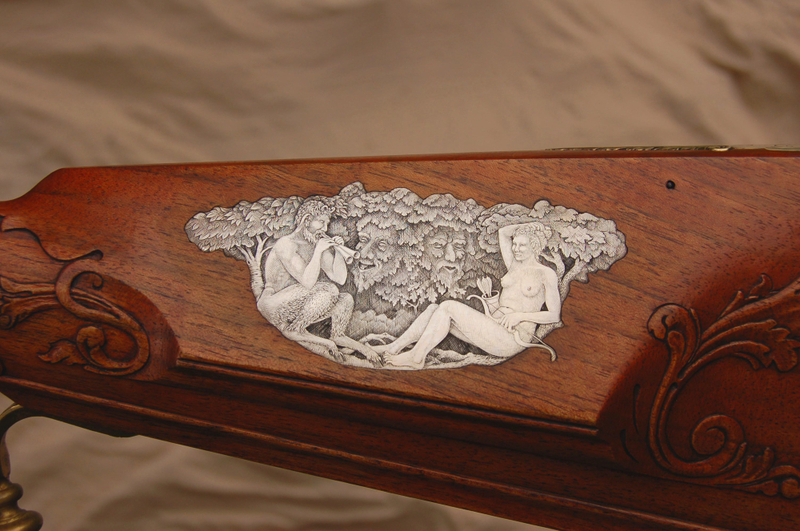 The storyline behind this rifle is the relationship between Pan and Diana. While it is myth, I feel it mirrors the saga of our own humanity. I believe that the Greeks and Romans used myth to try to understand our selves and to explain the mysteries of life in story form.